The attacks in Belgium have stunned us all. The news accuses terrorists trained in Syria. While you are trying to sort out your emotions, keep in mind that neither the terrorists nor their handlers are Syrian and that Syrians are suffering, too. 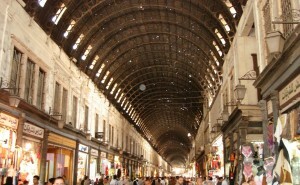 A few years before the civil war, I spent Good Friday in the once peaceful city of Damascus, Syria. 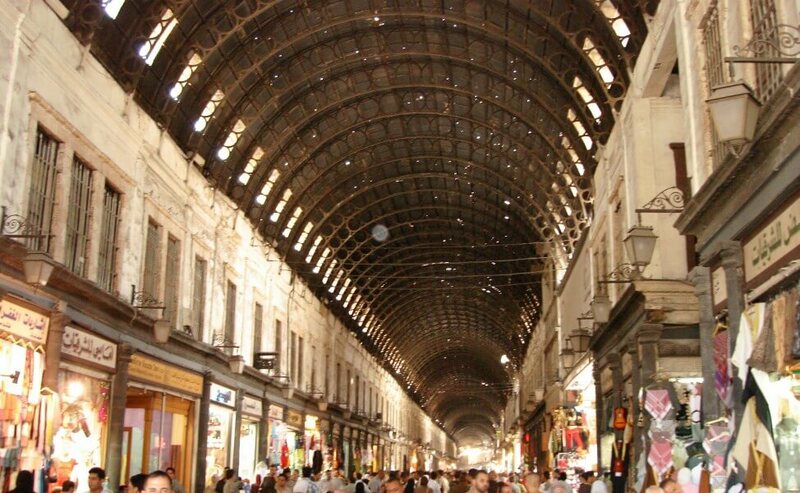 Like Jerusalem, Old Town Damascus has different quarters for different cultures. And Friday, especially Good Friday, is an important day for all. My day started at the Souq, where, on Fridays, shops open after Friday prayers. My favorite part about visiting this ancient market is chatting with the shopkeepers, who speak good English and love to talk politics. 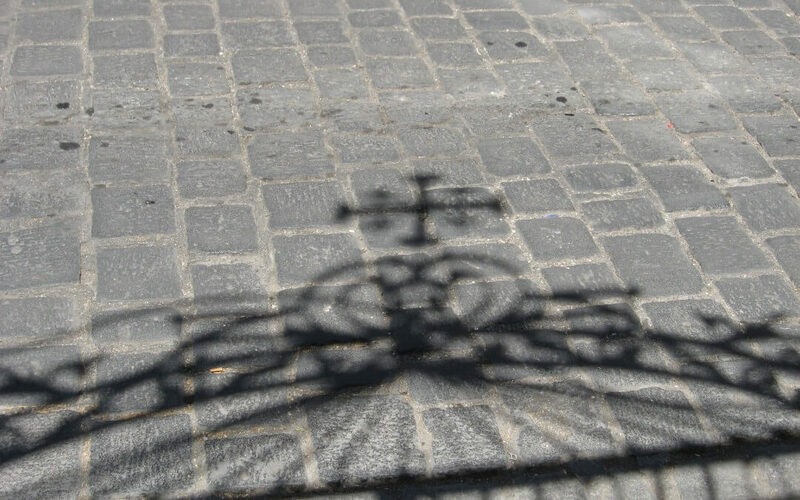 If you have the courage to hear an interesting take on the U.S., you’ll get it in Old Damascus. 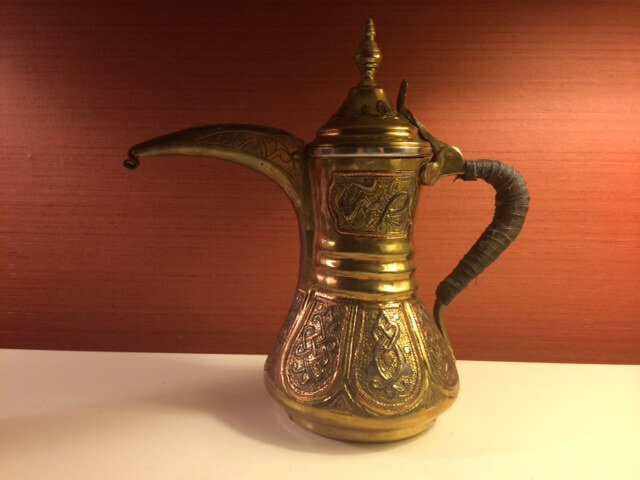 I bought this beautiful coffee pot. Though the shape is typically Arabic, the Damascene style is a design of Jewish artisans, famous for copper and silver metallurgy and for designing this inlay of wavy patterns. The shopkeeper was a Muslim, who admired Jewish craftsmanship. He had collected as many pieces as he could as the last group of Jews prepared to flee in 1994. He gave us a history lesson about the Jews, who had lived in Syria since the time of King David and about those who arrived in droves from Spain in 1492. I was surprised that he knew about King David, but he said Muslims do know The Old Testament. Something the three cultures of Damascus all have in common. On the evening of Good Friday, we went to the Christian Quarter, where, much to my surprise, we found long lines of devout worshippers waiting to get into the chapels for Good Friday mass. Without fear of retribution, they waited at the two chapels of the Mariamite Cathedral, an ancient Greek Orthodox Church compound dedicated to Mary, and at the Maronite Cathedral, founded by a branch of Christians, who trace their roots back to 4th Century Lebanon. The longest line was at the small underground House of St. Ananias, now a chapel. We squeezed down the steps and into the crowd to learn the story of Ananias. He converted a persecutor of Christians named Saul into a Christian apostle, named Paul, who transitioned from a blind man to a seer. While I lived in the Middle East, Syrians were hopeful and supported a peaceful co-existence among all cultures. I always felt safe there. They welcomed foreigners, thinking tourism was their key to prosperity, and they knew that diversity and the preservation of the Jewish and Christian Quarter was the ticket. People throughout the world share basic needs. They want to stay in their homes, ply their trades, practice their traditions, and have hope for a brighter future. At one time, not so long ago, three cultures in Damascus did this in harmony. Now invaders have made that life all but impossible. Pity the Belgians. Pity the injured and lost. But pity the Syrians of divergent cultures, too, for all have suffered. For more photos of Syria, click on the Facebook link.